"Erected by the inhabitants of Worsbro’ Common in memory of the fallen of this parish in the Great War"
There is some discrepancy between the names given in the newspaper cutting reporting the unveiling of this memorial and the names on the memorial. 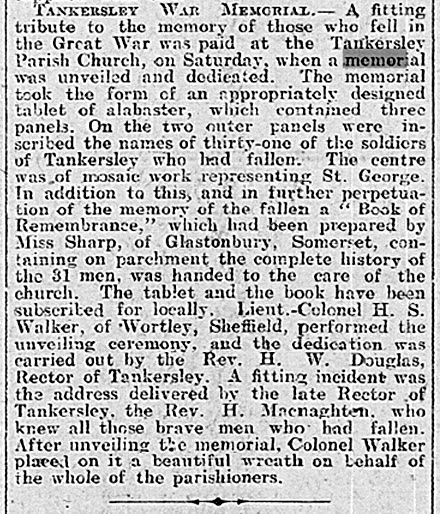 For example James Jenny (Barnsley Chronicle) is Jas Kenny on the memorial. 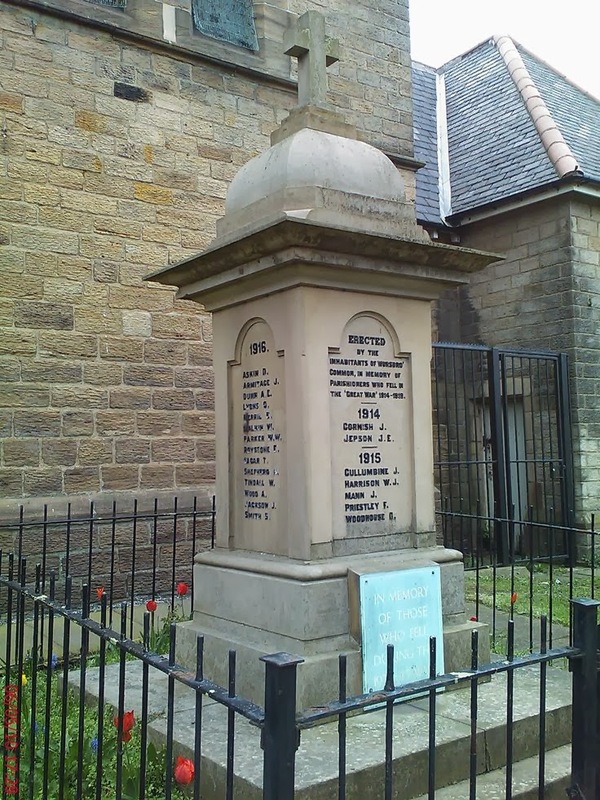 There is a small metal plaque attached to the front face of the base of the memorial commemorating the fallen of the Second World War, but it contains no names. The list on the War Memorial on Cross Street includes an additional five names plus World War Two names and one from the Korean War. 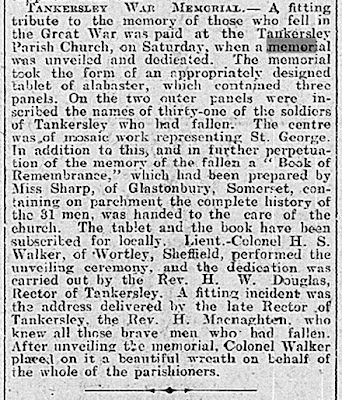 The unveiling of a memorial at St John's church, which used to stand on Joseph Street in the Bare Bones or Wilson's Piece area of Barnsley was announced in the Barnsley Chronicle on 24th September 1921. 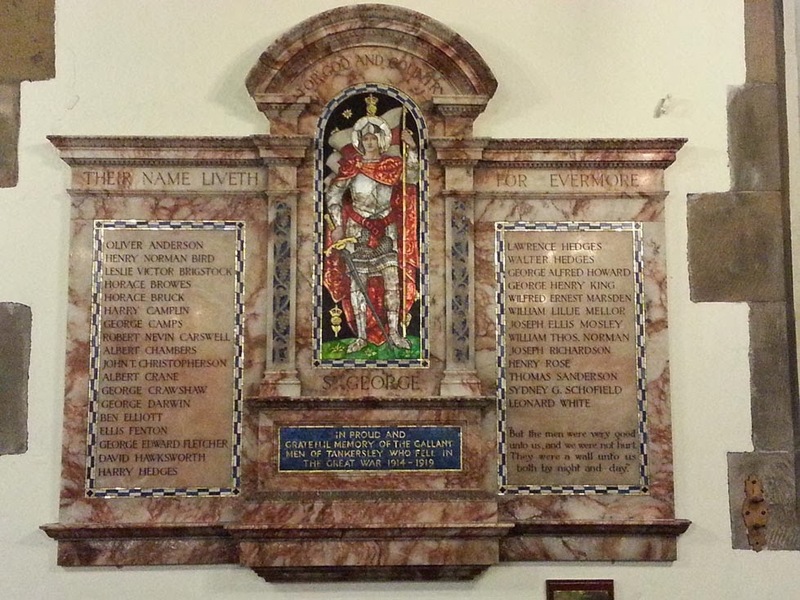 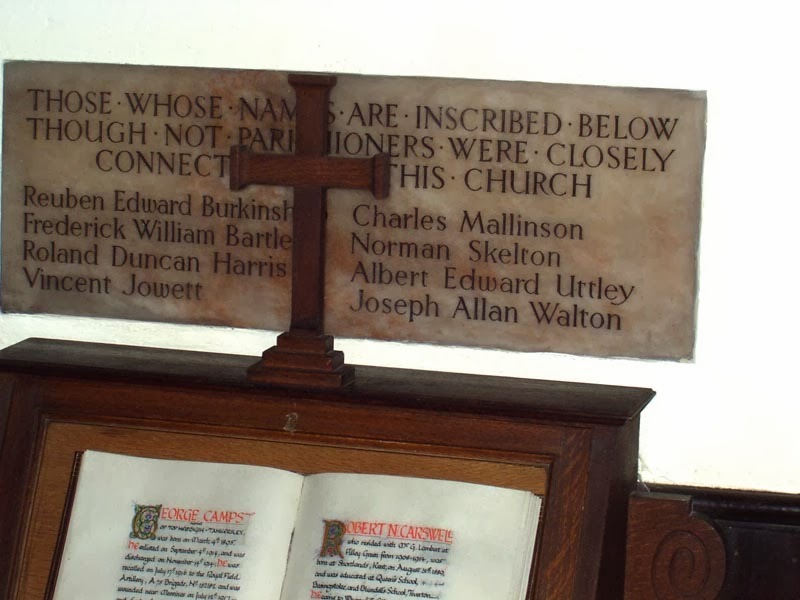 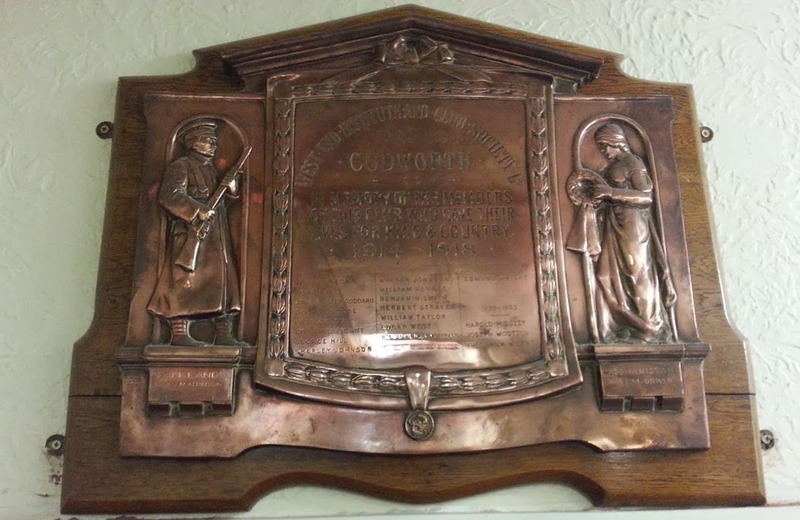 The Oak Memorial Tablet was installed at the West End of the Church and unveiled on Sunday 18th September 1921. 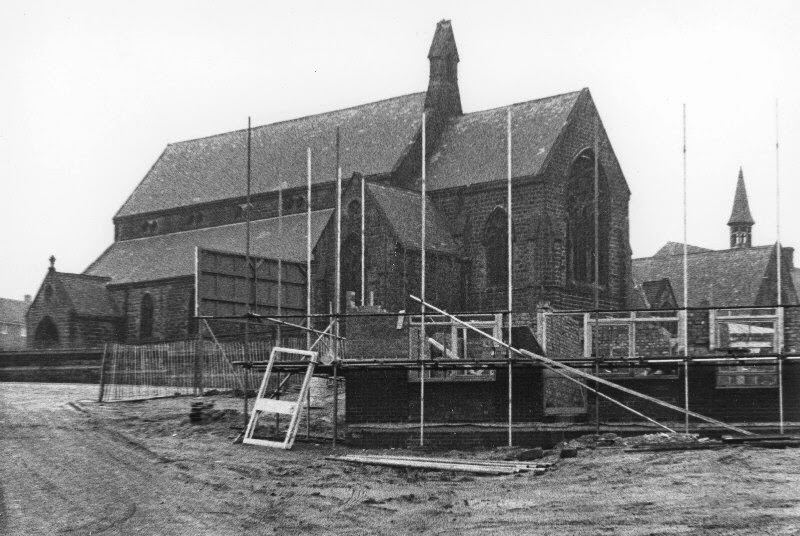 Unfortunately the church was demolished in the 1960s and the tablet has been lost. 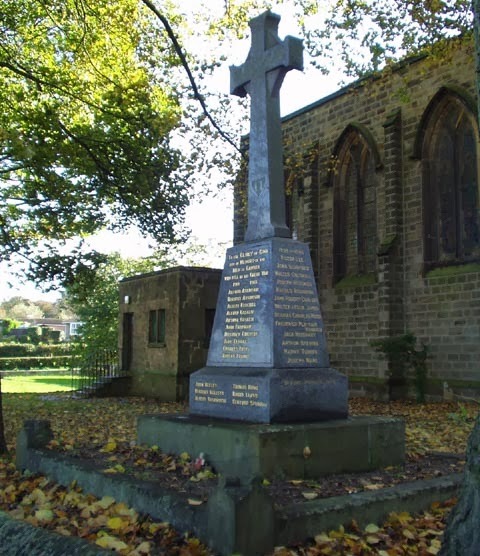 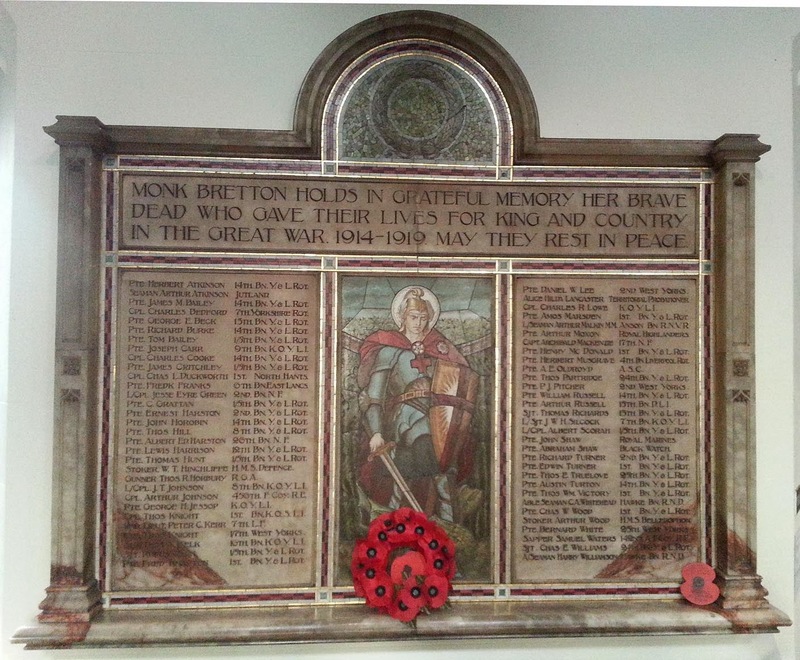 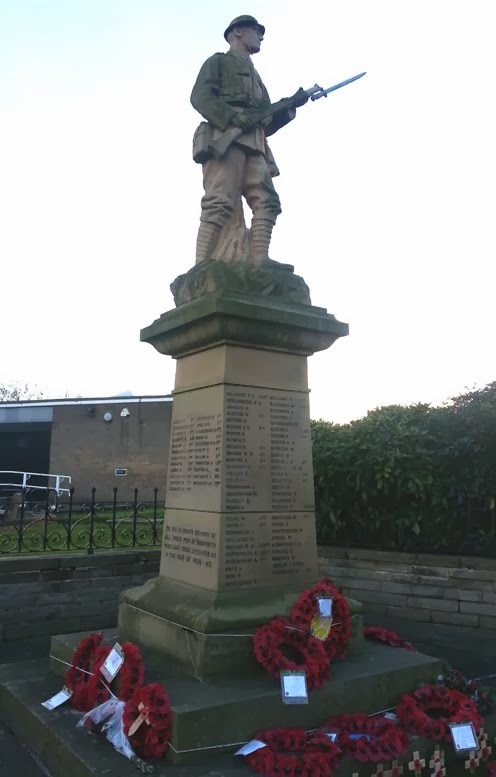 A replacement memorial has been created and has been installed in the nearby St Peter's Church on Doncaster Road. 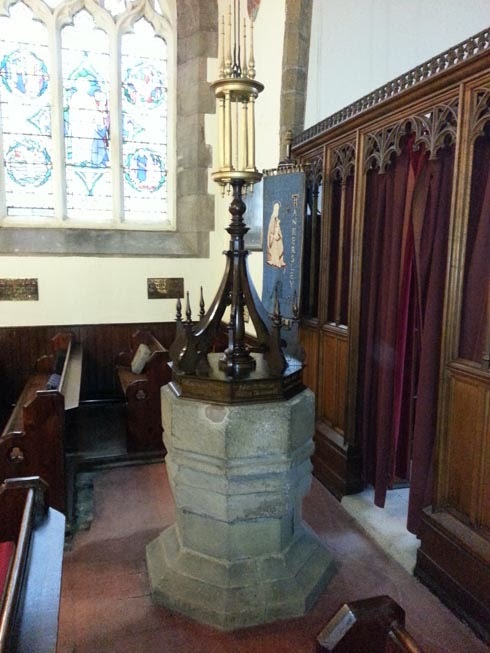 Its dedication took place on Saturday 15 October 2016 at 4pm. 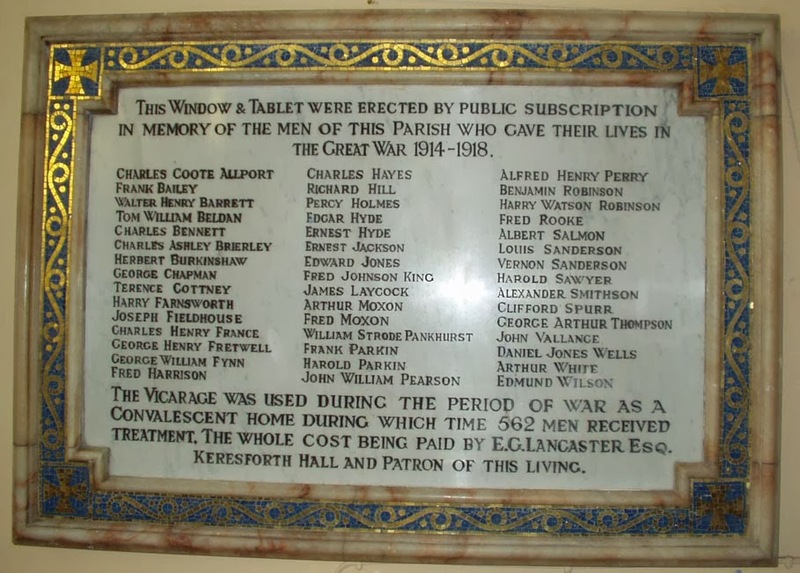 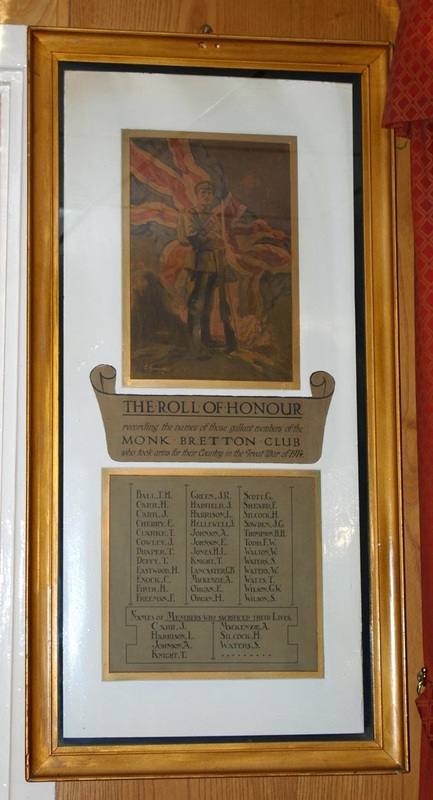 The 140 men named on this memorial have been researched in depth by BarnsleyHistorian and a copy of the research sent to St Peter's for display at the dedication in 2016.